Ryanair has forged a preliminary labour agreement with German cabin crews, the low cost airline said Thursday, after strikes over employment contracts caused widespread disruption earlier this year. 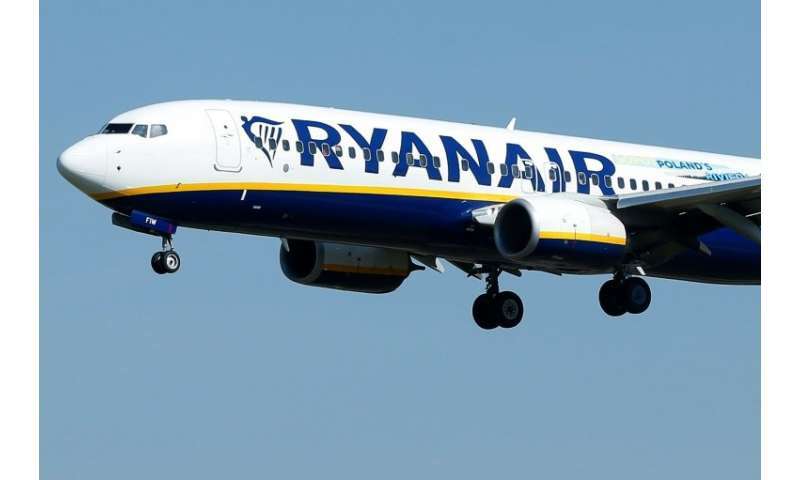 The accord with union Verdi "will lead to pay improvements and other benefits for our German based cabin crew, subject to them voting in favour of this agreement over the coming week," Ryanair head of personnel Eddie Wilson said in a statement. The deal, which is now subject to a cabin crew ballot, does not cover pilot crew who are represented by cockpit union VC. German cabin crew were among those who took part in a pan-Europe walkout in September—seeking higher wages and an end to the practice whereby staff work under mostly Irish contracts, not those of the country they reside in. After crew staged strikes in Germany, Belgium, Italy, the Netherlands, Portugal and Spain labour organisers claimed to have grounded more than 190 flights. "After a year of negotiations, Verdi sees this agreement as a step towards improving the working conditions of employees and their wages," said a Verdi spokeswoman. She indicated that the union still finds aspects of the Dublin-headquartered airline's position "problematic" but said that members' decision to accept or rebuff the agreement would be taken after 13 November. On Thursday, Ryanair also announced Italian staff had voted 88 percent in favour of an agreement with the three main cabin crew unions in that country. "These are further concrete signs of the substantial progress Ryanair is making in concluding agreements with our people and their unions in many different EU countries," Wilson added in the statement. This summer strikes by cockpit and cabin crew in Italy, as well as Belgium, Ireland, Portugal and Spain disrupted 600 scheduled flights and plunged 100,000 travellers into chaos. In October Ryanair cut its annual profits forecast by 12 percent owing to the cancellations. Ryanair lowered its estimate for annual profits after tax to 1.10-1.20 billion euros ($1.27-$1.39 billion) from a range of 1.25-1.35 billion euros for the coming financial year concluding next March. Strike action has also caused turbulence among high-level staff at the firm. During the company's annual general meeting in September governance was called into question by shareholders. Ryanair recognised cabin crew unions for the first time in June. The move was taken after the firm was forced to cancel 20,000 flights between September 2017 and March 2018 owing to pilot shortages and pay concerns.